Italian is my favourite type of food but Mexican comes a very very close second! 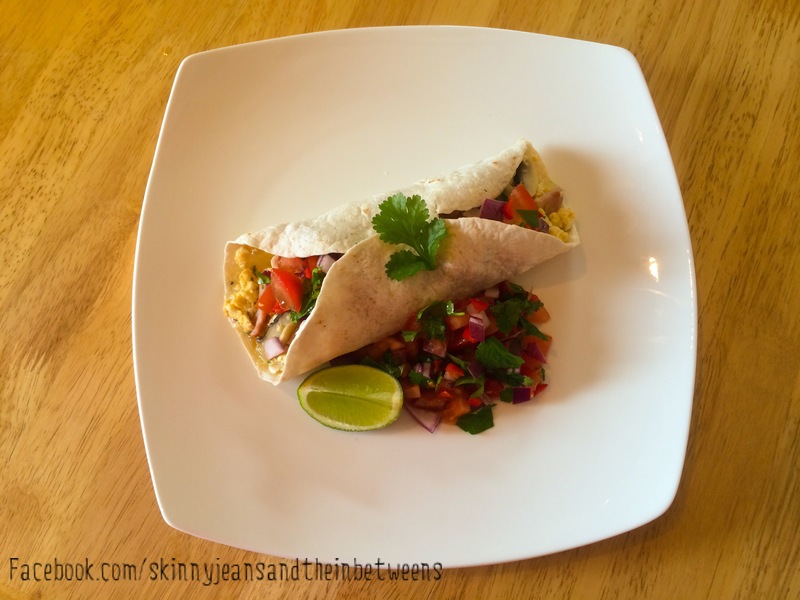 This filling & tasty burrito with the protein from the eggs & lots of your 5 a day in the pico de gallo, will keep you going till lunch. Makes 1 at just 6pp for this massive plate of food or Totally Free on F&H plan. Make the Pico de Gallo by combining all the ingredients in a bowl & mix well. Make this first to give the flavours a few minutes to marry. In a pan sprayed with sprayoil lightly fry the Mushroom, Onions & Bacon pieces for a few minutes until browning & soft. Meanwhile makes your Scrambled Egg by whisking the Egg, Milk, Paprika & Parsley over a low heat until cooked but still soft, season with salt & black pepper. Avoid overcooking & drying out the Egg by taking it off the heat a few seconds before you think it’s done as the Egg will continue to cook for a few secs when removed from the heat. 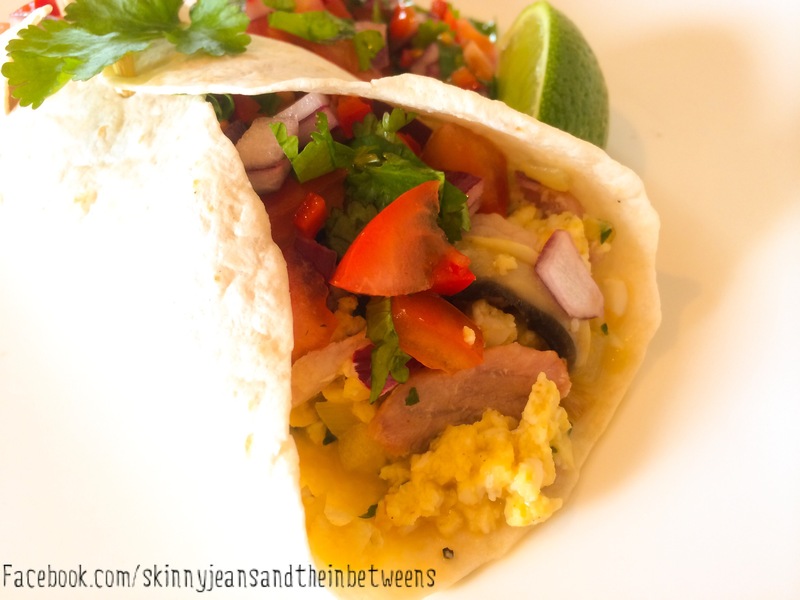 Warm your Tortilla in the Microwave for 30 secs or heat it on the pan if you prefer. 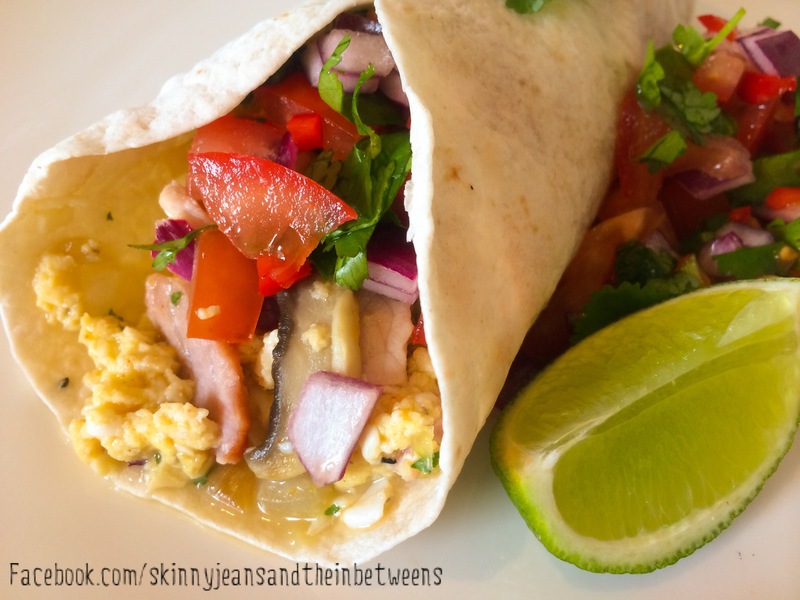 Place the Tortilla on your plate & pile the Scrambled Egg onto the Wrap. 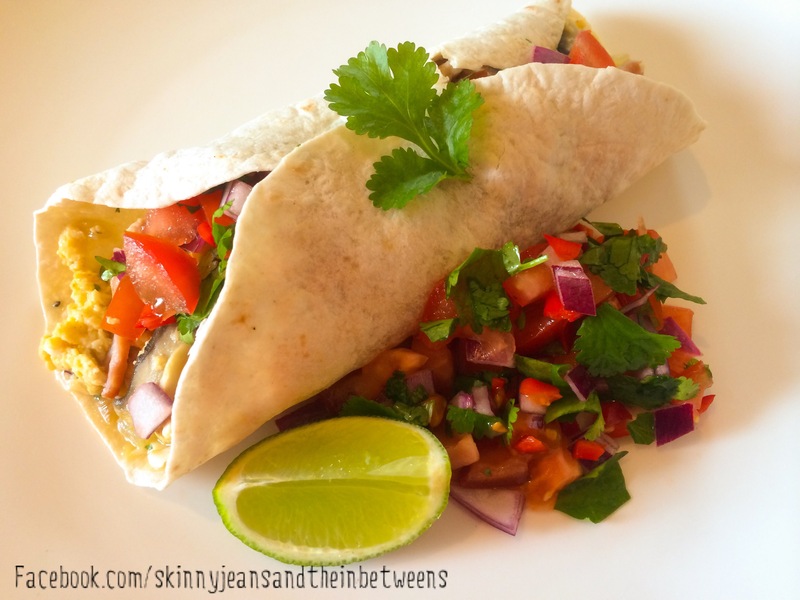 Top with the Pico de Gallo & Serve any extra on the side with a wedge of Lime for Squeezing. You can add more heat with Tabasco or Hot Sauce if you like your Chilli Fiery! Enjoy!! !